Team! Thanksgiving is nigh. Here at Meryl, it’s one of our favorite days of the whooolleee year. East coast women born and raised, we’ve got some deep-seated, pilgrim-era nostalgia in our souls. Thanksgiving is a time for reflection, but most importantly, it’s a time to cook all day long with and for the people you love the most. Controversial opinion, WE KNOW! But hear us out. Turkey, however stunning when golden-brown and whole-roasted, is not the main event. Sure, it’s delicious, but turkey is turkey, and very little will change that. HOWEVER, a potato can be liquid gold; bread can be sherry-drenched stuffing; squash can be a revelation. Sides are what Thanksgiving is all about; sides are what you came here for. It’s like the movie Julie & Julia. Your turkey is Amy Adams. Yes, her scenes are nice—also Chris Messina doesn’t hurt—but ultimately, I’m only here to see Meryl. Meryl is your Thanksgiving sides. Now, don’t get us wrong. You still need a turkey. You just don’t need to drive yourself crazy over it. Follow this easy recipe from Bon Appetit, and put that big, beautiful brain of yours toward what people are looking forward to the most: sides! Crisp, clean Caesar is a great antidote to all that rich, gluttonous food. 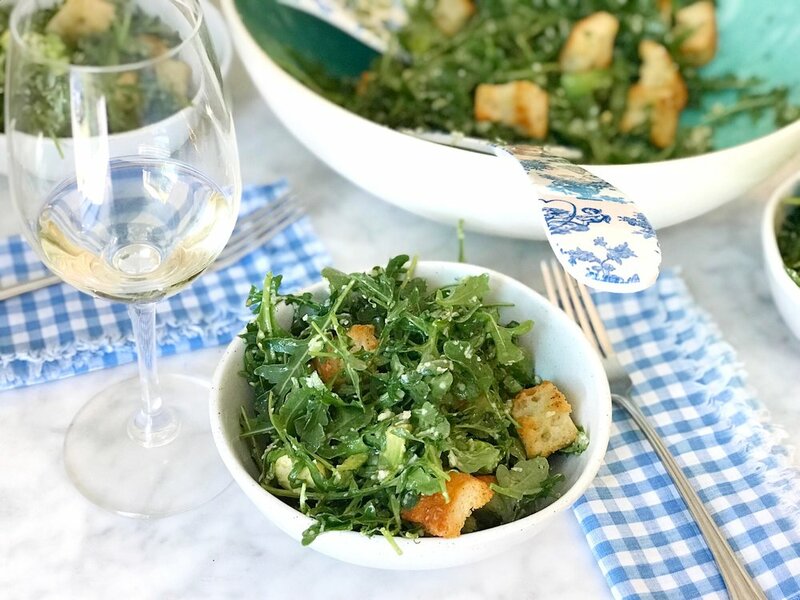 It’s the perfect side salad for a holiday meal. Want to wow your guests before dinner? Make a decadent cheeseboard they can snack on while you cook. Want to impress your guests after? Serve an elegant plate for dessert! Picture this: While the bird is resting after its all-day bake, you serve up some sweet little cups of homemade pumpkin soup to whet the palette. Fresh, seasonal, and altogether unconventional. You hero, you. Friends. It’s time to stop drowning these gourds in maple syrup and topping ‘em with marshmallows. Go ahead and embrace the savory. You won’t be sorry. At Thanksgiving, it’s great to have a mix of classic favorites and fresh, innovative dishes. 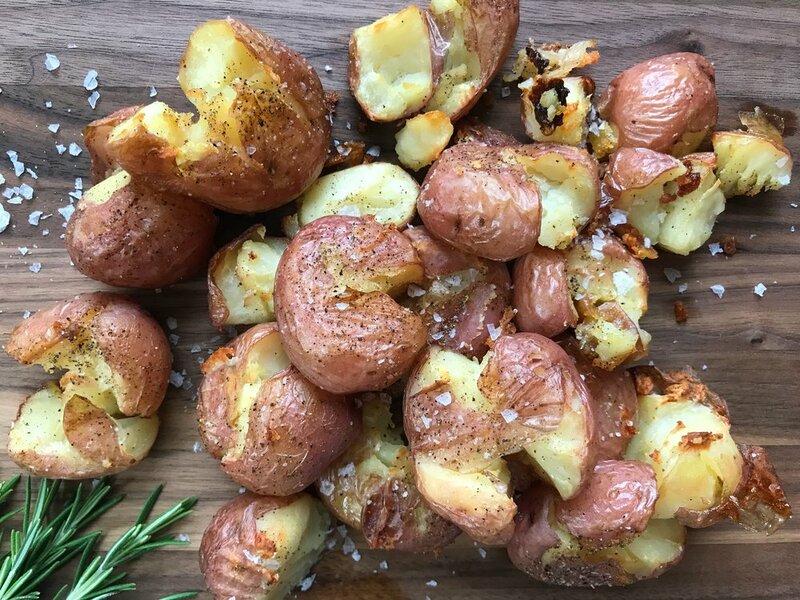 These buttermilky potatoes fall squarely into the classic category—sorry we’re not sorry. In the fresh, innovative category: this glorious stuffing that won’t stuff you. No custardy bread pudding here—think kale, walnuts, sherry, and dried fruit. Tres chic! Okay, so a dessert isn’t technically a side dish. It is, however, delicious. And welcomed on our Thanksgiving table any time. We’ve got a great buckwheat galette crust that you can fill with anything your heart desires. May we suggest tart apples, pears, and cinnamon? Chyum. In the end, the key is this: Don’t get stuck on the same old stuff. Keep your traditional favorites, and throw in something innovative and unexpected. Make some things complicated and some things easy. Buy canned cranberry sauce because it’s actually great. And for Pete’s sake—stop worrying about the turkey.